How To Look Fab Even If You Feel Like You Have Nothing To Wear! Your wardrobe is teeming with a ton of clothes, but do you still feel like you have nothing to wear? Every morning when you open the doors to your closet, you feel like you’re falling into depression, because there is just nothing decent there you can carry off for the day? Buck up girl! Because POPxo is here to tell you what exactly to wear when you feel you got nothing! Image Source: Deepika Padukone on Instagram You think your little black dress is only for snazzy parties? Wrong! Just ditch your stilettos and pair it with canvas shoes and watch the magic happen as your chic party dress transforms into comfy everyday wear! The lovely Deepika does exactly that here as she wears her LBD with a couple of white canvas shoes, and boy does she look gorgeous! Image Source: Alia Bhatt on Instagram Alia Bhatt is a master at this! 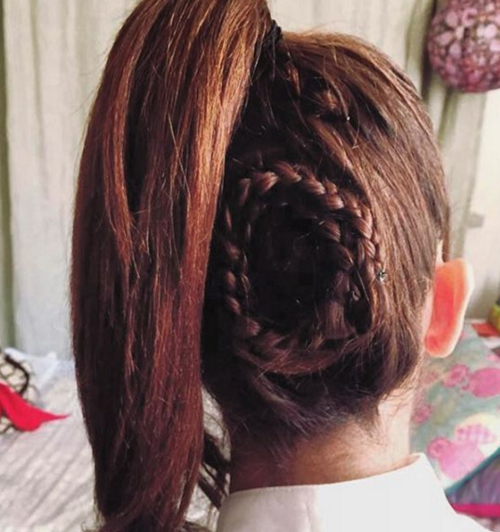 Her Instagram is just full of interesting hairdos and hairstyle ideas that is making us super jealous!! If you feel your clothes are same old, same old, just having an interesting hairdo can make all the difference! No need to get those expensive haircuts either, just experiment with braids! Learn from Alia! Necklaces have this amazing ability to fully transform any old clothes into something chic, new, intelligent, sweet, girly and interesting! So keep a collection of long beads and feminine neckpieces which you can fish out on the days you feel you have nothing to wear! You can just wear them over jeans and a tee and get all the compliments!! Boho styles are very trendy right now, so a pair of feather earrings can never fail you when you don’t know what to wear. No matter what you are wearing, just add a pair of feather earrings with them, and you will be grabbing the attention of just everyone in the room!! Image Source: Marc Jacobs on Instagram Sometimes all you need to perk up your boring old wardrobe is a jacket! 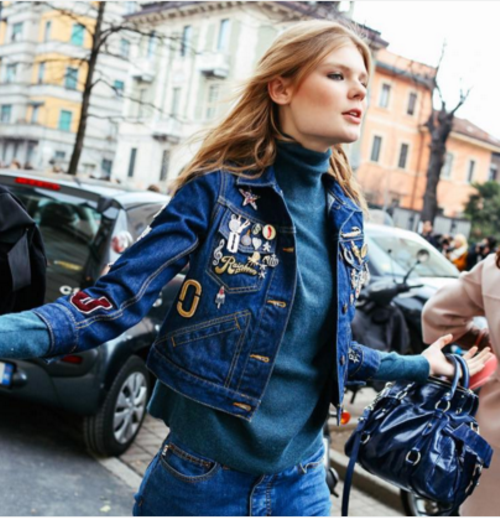 Check out how world-famous designer Marc Jacobs used this trick to spice up a boring polo neck sweater and old jeans into something fashion-worthy at the Milan Fashion Week earlier this year! Image Source: Ashley Tisdale on Instagram Musician Ashley Tisdale also uses a long, snuggly jacket to transform her old t-shirt and sweatpants (YES, SWEATS!!) into a real style statement! We are so inspired!! Image Source: The House of Dior on Instagram If your wardrobe has left you in despair, just take out your lipstick, and colour your lip a bright shade! Bright lips are super super trendy right now: Dior just launched a campaign with Jennifer Lawrence promoting their metallic shades of pink. And metal means BRIGHT, babe! Image Source: Taylor Swift on Instagram A bright lip shade has the effect of also just brightening up your same-old clothes in an effortless and chic way. 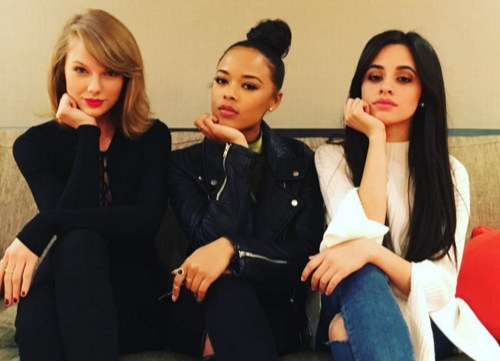 Take lessons from Taylor Swift in it, as she hangs out with her friends, wearing a simple black with a bright red lip, and just look at how spectacular she looks! 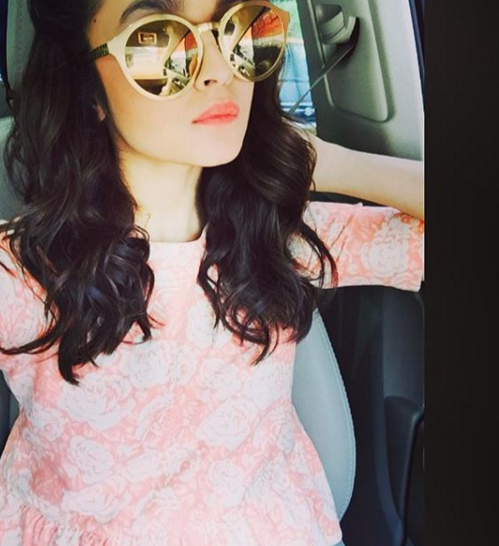 Image Source: Alia Bhatt on Instagram Alia is diva or what?! It is amazing how she manages to carry off whatever she wears with so much glam using just sunglasses! So when in doubt, don your sunglasses! No more words needed!! Image Source: Twinkle Khanna on Instagram You think it is summer, so you don’t need your scarf anymore? Don’t make that mistake, dearie! Scarves have this ability to always, always, ALWAYS add this level of sophistication and interest to the simplest of stuff you wear. Diamonds may be a girl’s best friend, but scarves do come a close second! Trust me on that….Or just trust Mrs Funnybones here. ;) Images: Shutterstock HAVE A STORY IDEA FOR POPxo? If you want to hear about it, we can write about it! Just tell us your idea here! MUST READ: The Broke Girl’s Guide To A Wardrobe Makeover (For Free!) 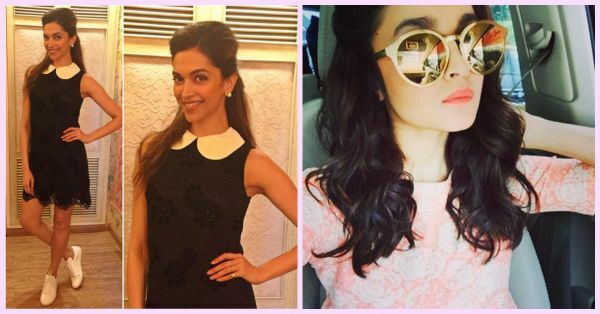 MUST READ: 10 Fashionable Items EVERY College Girl Should Have!